Making Plans | God has your back! 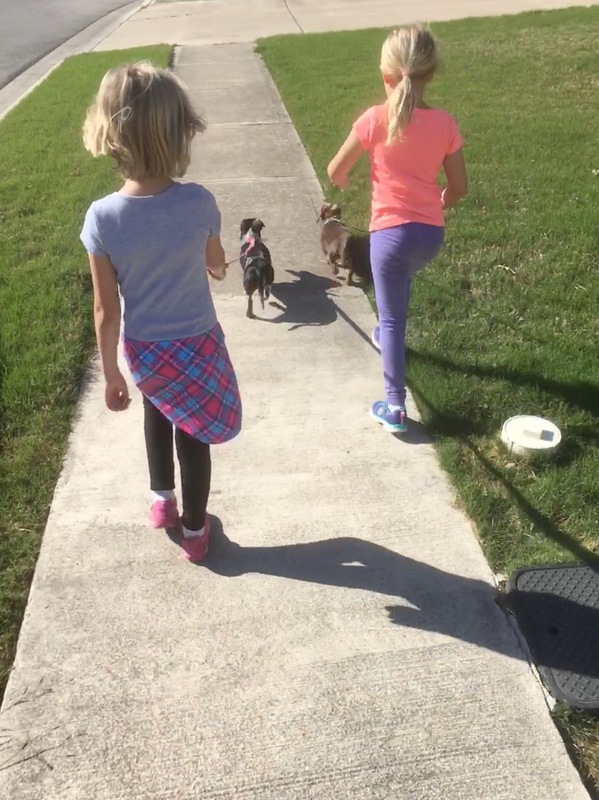 Marta and I went walking with the girls the other day and they were excitedly talking about the trip to Florida that our entire family has planned for this summer. Haley who is 6 has been doing a daily count day of the number of days remaining until our trip for at least a month. “80 days left Papaw… 70 days… 58…” and the count continues. While we were walking, Haley was telling Avery how many dresses she was going to take, which shoes and which swimsuit. Avery who is 8 wasn’t as concerned about the clothes but she did talk about the snorkel gear that she was going to take. After they talked about the trip for several minutes, I told the girls that I loved hearing about their plans. Then I shared with them that the Bible says God has plans for each of us. I asked them how they thought that could be and Avery responded, “Because He knows all about us. He knows exactly what we will be doing.” Haley joined in, “He even knows what we are doing right now. He knows we are walking the dogs!” The girls are right, God knows all about us. He knows what we are doing now and what we will be doing tomorrow and what we will be experiencing in the future. He knows how much I enjoy these walks with Marta and the girls. Yes, He has plans for each of us, plans for our good and our well-being and He wants to give us hope. This entry was posted in Christianity, Church, faith, God has a plan for you, grandchildren, hope, Planning for the Future, religion, Take a Walk and tagged Christianity, faith, God, God has a plan for you, grandchildren, inspirational, making plans, religion, Walking the dogs. Bookmark the permalink.